Have you ever wondered how humans and animals communicate? 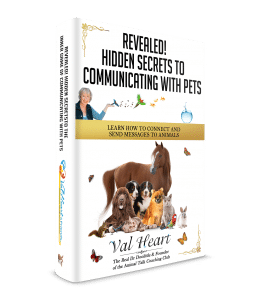 Is your pet is trying to tell you something? Have you ever felt like there was a reason they are in your life? Have you ever wished you knew how to talk to animals? If they could speak, what they would say? I love animals. I’ve spent most of my life learning how humans and animals communicate. If your pet is staring at you intently, then you know for a fact that they are trying to do a Vulcan mind meld with you, trying really hard to figure you out, or they desperately want to tell you something. They don’t understand why you can’t hear them. If they are behaving badly or are in pain or suffering from poor health, then yes, they are trying to get your attention then too. Animals are highly intuitive. They have to be in order to survive. Ever notice how Fido knows when it’s time for a bath and conveniently disappears? Or how Fluffy exercises her Houdini disappearing skills when it’s time to go to the vet? Or how about when Trigger heads for the hills when it’s time for your riding lesson? One of the things you may not know yet is this: Animals can reflect their person’s imbalances, stress and wounds. That can make them your best teachers, guides and healers. I call that the Human Animal BodyMind Connection. I’m Val Heart The Real Dr Doolittle. I’ve also been called a spiritual multidimensional, multi-frequency healer and a master teacher. In my almost 60 years of experience communicating with animals, I can tell you without a doubt that animals are in your life for a reason. And yes, they try to talk to you all the time. Animals can be Angels, Teachers, Guides and Healers. When we learn how to recognize, respect and revere animals for who they truly are, they help make us better people because they help us heal, evolve and grow. I am highly sensitive empathic intuitive, it means that I can feel things other people aren’t as aware of. I tend to know things other people don’t. And the animals talk to me, we understand each other. There is no question that humans and animals can communicate, we do all the time whether we humans are aware of how we’re doing it or not. Did you know that animals speak a lot in mind pictures and feelings? Listen to the extraordinary tales of Tuffy Tiger, Peach, Maisie and Valkyrie! Out of my work with animals, I realized that anyone can learn how to talk to animals. 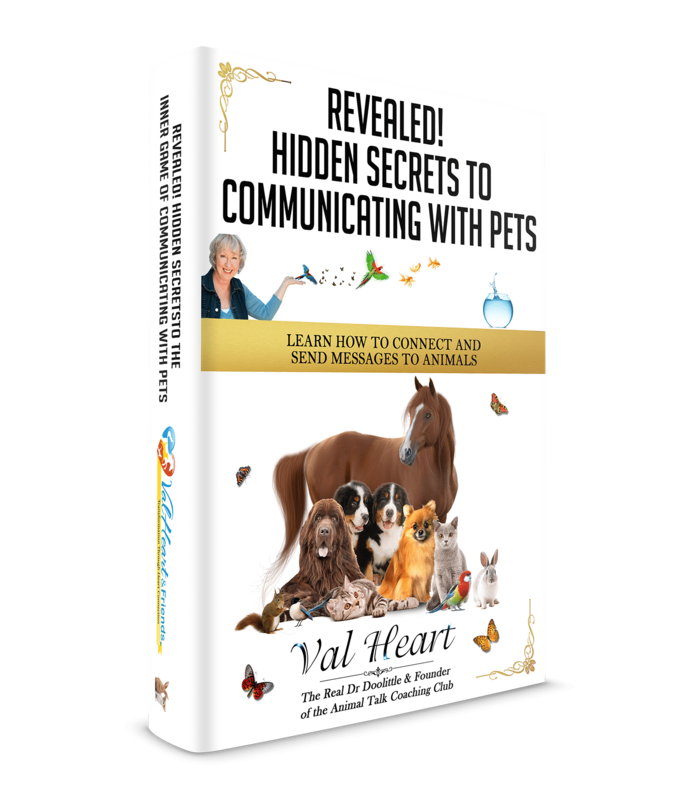 So I founded The Heart School of Animal Communication to teach animal lovers how to do what I do. My vision is a world where everyone knows how to talk to animals. Exploring the Mysteries of the Human Animal BodyMind Connection One of the important things I realized in my work as an animal whisperer is that pets can mirror their people. I call this phenomenon the Human Animal BodyMind Connection. It’s where we reflect each other’s stress, dis-ease, and wounds. Animals are telepathic meaning they can feel things over a distance. They are intuitive. They can often read your mind and they know what you’re feeling. They sense what’s going on. They show up and get who you are at deep spiritual levels. They can help protect you, heal you, they travel in your soul group following you around from lifetime to lifetime. No need to clone them. They reincarnate. Like we humans do, they can keep coming back to us because they are part of our soul family consciousness. They are trying to help you by mirroring or reflecting your stress, wounds, disease, and imbalances. Their hope is that once you see it, that you’ll be able to change and then they won’t have to do that anymore because honestly, carrying and acting out your stress hurts them, and carrying your illnesses can even kill them. Companion animals choose to spend their entire lives attempting to break through our barriers, help us heal and become reconnected with all life. They touch our hearts, and for that, we are forever grateful. Thank you so much, Val Heart. My little kitty looks so much bigger, smarter and loving than even I knew, and I think the world of her. That was lovely Val, thank you. WOW! They follow us in our soul groups from lifetime to lifetime! What a wonderful revelation!! !